Pro-tek front sprockets are completely CNC machined to exact tolerances from 4140 nickel-chromoly steel resulting in a quality product. 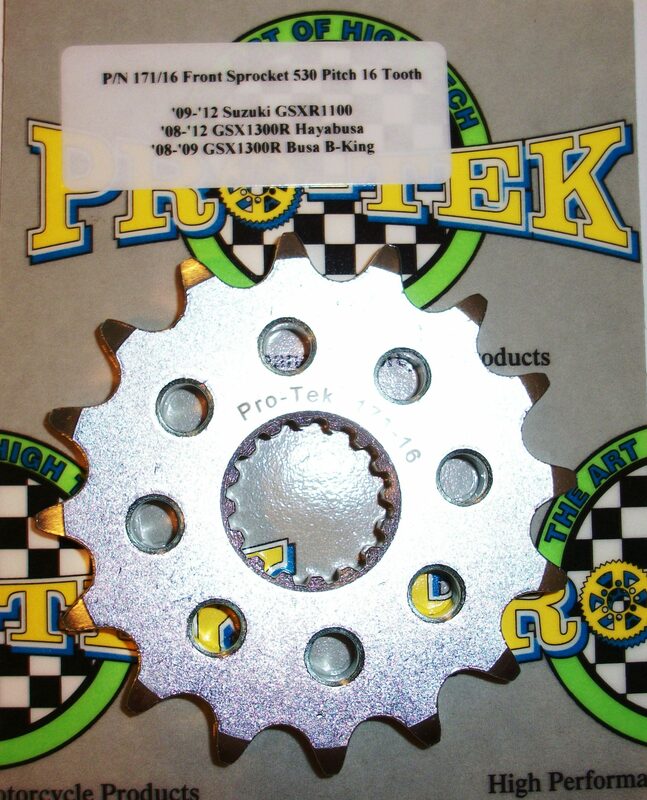 None of the Pro-tek front sprockets are gear hobbed, but are lightened with drilled holes to save on rotating mass. Every lb of rotating mass equates to a 4 lb weight reduction. The sprockets are then case hardened to Rc 58-60 and finished with a zinc plating for added durability and protection from corrosion. Made in the USA. Available in 520, 525 and 530 pitch in tooth sizes ranging from 12T to 19T.